'There are influences from both Studio Ghibli and Disney's more stylised Renaissance releases, but at its very best The Secret Of Kells is aesthetically superior even to output from these two bastions of animation'. In mythologising the creation of the Book of Kells, Tomm Moore's The Secret Of Kells inhabits a curious middle ground between the historical and the fantastical. For that reason, it's difficult to know whether or not to recommend doing some research into the ancient book before watching: whilst I had never heard of it and got plenty out of the film without such knowledge, I couldn't help but feel afterwards that I might have appreciated some parts of the film more had I done some cursory reading around the subject prior to putting the disc into my Blu-ray player. What is clear without learning any of the history of the real Book of Kells is that Moore is less interested in steadfastly sticking to the facts (which are sketchy in places anyway) and more focused on using the creation of the book as the basis for a cinematic tapestry woven from Celtic folklore. The Secret Of Kells features monsters, fairies and even ancient myths within its own fairytale, taking influence from a whole range of traditional sources and building up a multilayered and magical environment in which the story can unfold. The inclusion of religion - predominantly but not limited to Christianity - fits into this mix well; Moore ensures that ideas of faith feel important but never allows his film to become sanctimonious. The brief running time of only seventy five minutes is ultimately the source of the film's shortcomings. With so little time to tell the story, it's necessary for Moore to leave elements of his story somewhat undernourished. The relationship between young monk Brendan (Evan McGuire) and Abbot Cellach (Brendan Gleeson), his authoritarian uncle, is barely developed beyond the rudimentary, which in turn diminishes the intended impact of a key final act development between the two. 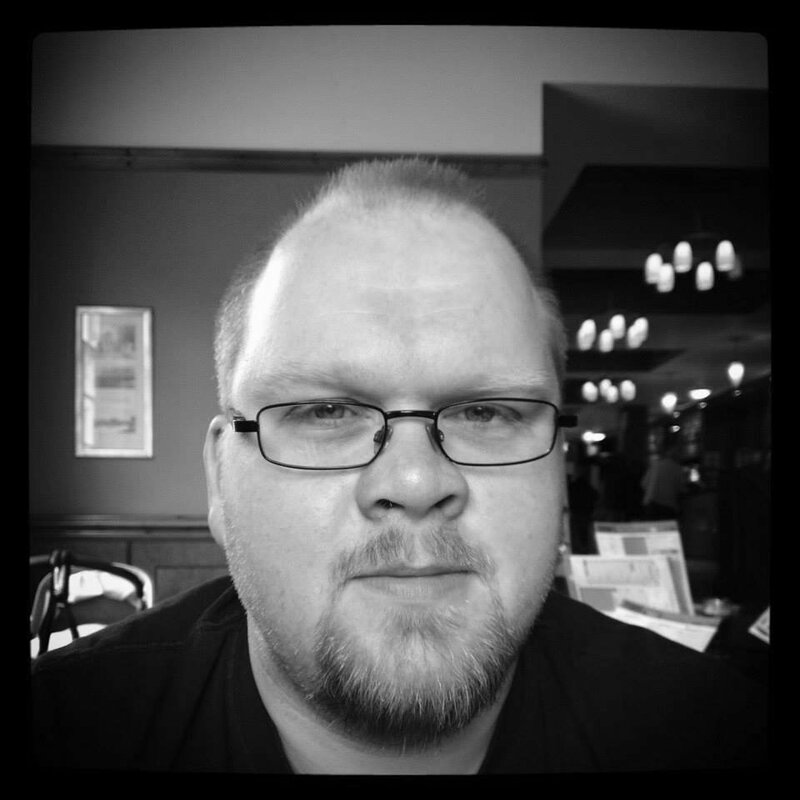 It's thanks to the vocal talents of McGuire and in particular Gleeson that Moore gets away with it. Where the film excels throughout, however, is in its visuals which prove consistently stunning. 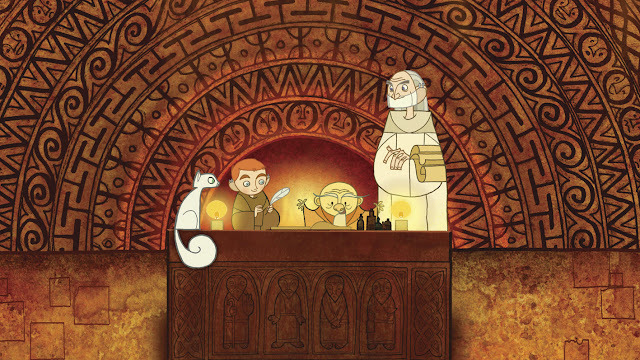 There are influences from both Studio Ghibli and Disney's more stylised Renaissance releases, but at its very best The Secret Of Kells is aesthetically superior even to output from these two bastions of animation. Scenes throughout are embellished with decoration adapted from the artwork of the Book of Kells, and the sequences towards the end which bring pages from the tome to life are truly breathtaking. It's a rare occurrence to find such a film during the 21st Century, but the artistic beauty of The Secret Of Kells undoubtedly succeeds in making up for its relative limitations elsewhere.